Toni McDivitt came to Guy Roofing with over 25 years of experience in corporate training and organizational development. She has certifications in ISO 9000 and TQM and has designed and delivered corporate universities training for up to 5,000 people. Her passion for leading, motivating, and holding teams accountable brings great value to her position at Guy Roofing. Toni is responsible for creating and implementing training programs and overseeing the development of careers for new and current employees. 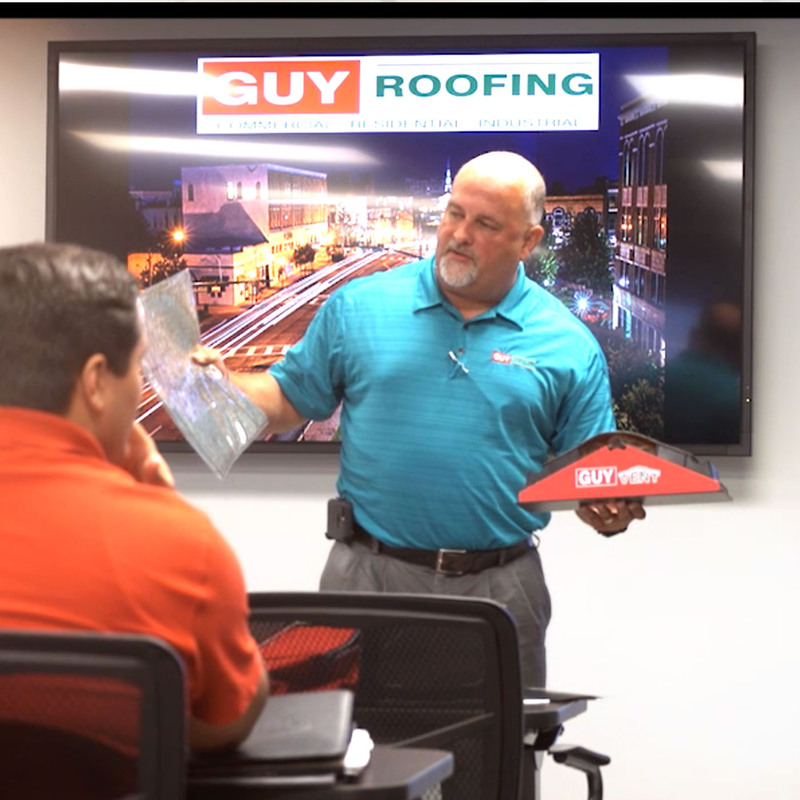 Our mission at Guy University is to improve internal performance, raise the level of customer satisfaction and strengthen our position as a leader in the national roofing marketplace. 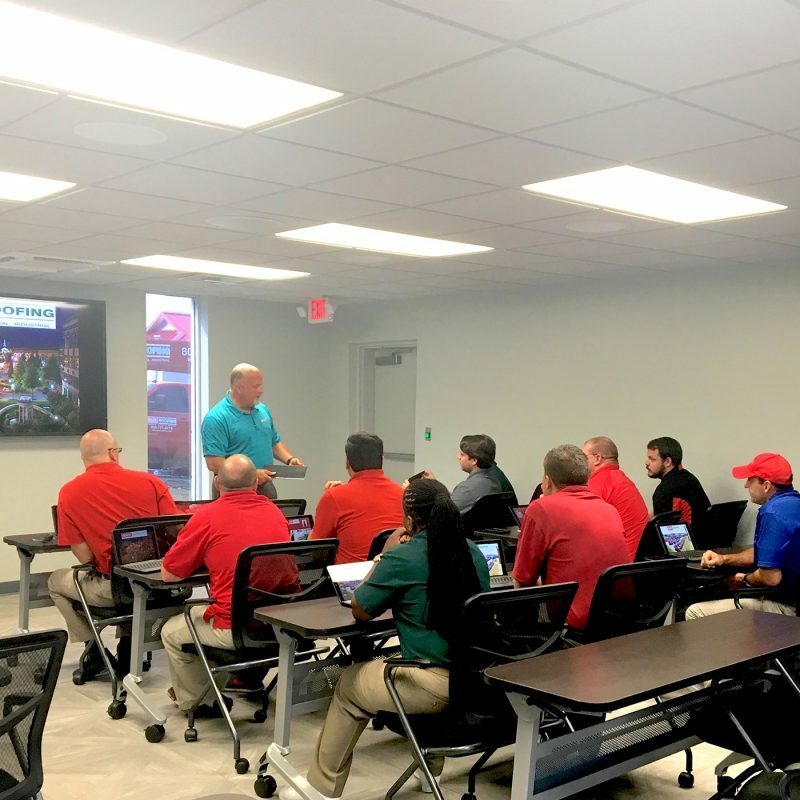 Our state-of -the-art training facility was designed to meet these needs and enables us to offer our employees hands-on training as well as classroom training. Our modules are designed to assist the organization in achieving its goals by conducting training that foster individual and organizational learning and knowledge. We provide general education, roofing technology, construction best practices, and leadership and safety certification programs. 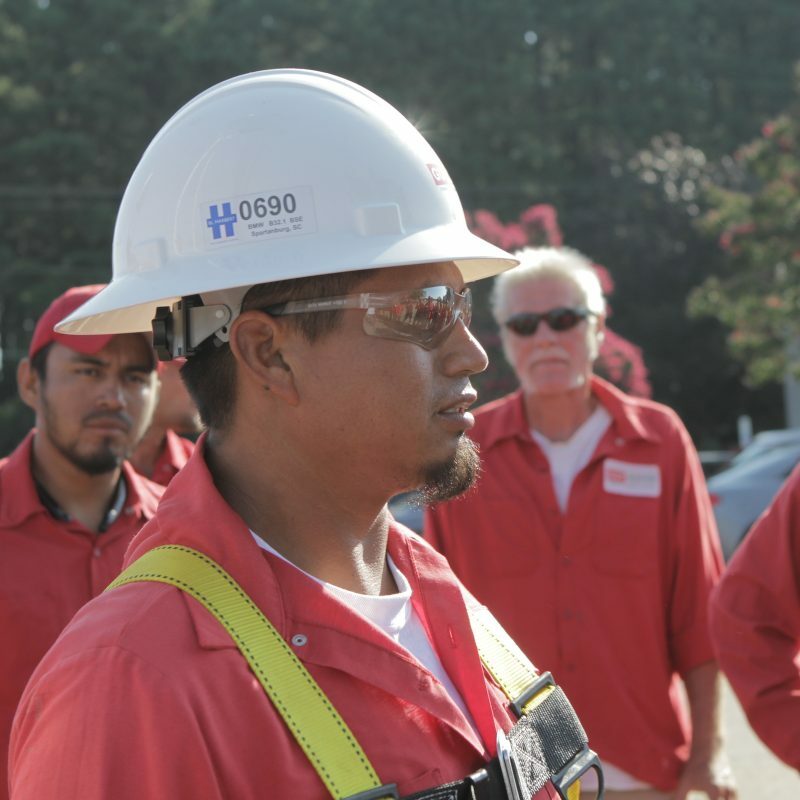 All employees complete Customer Service and Roofing 101 courses, if applicable, they will complete our Overall Roofing Program of 400 training hours. Additional highlights: Superintendent & Project Manager Training, training for Quality Control and Roof Repair Technicians, Call Center Training for both our residential and commercial divisions. Sales training begins with new hire orientation. Our residential, commercial, and national sales force, undergo continuous training throughout the year. 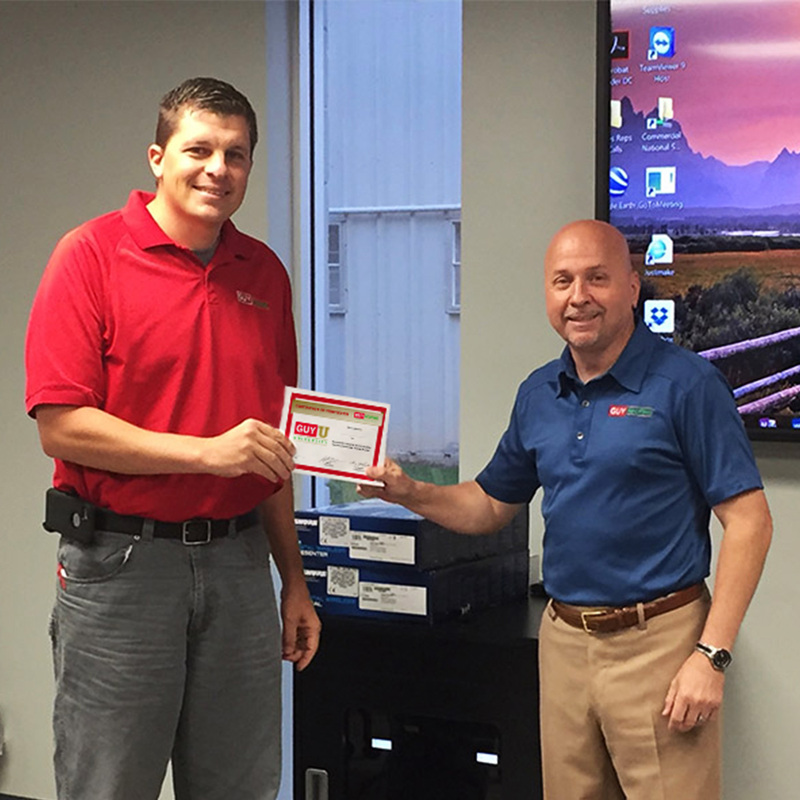 Our director of sales conducts weekly meetings to set personal and company sales goals as well as monthly product and application courses in order to stay current in our industry. Through our strategic partnership with insurance and safety organization our programs continue to succeed while our EMR rating steadily declines. This program highlights: Drug free workplace, monthly Safety Days, Job site Safety Audits, Supervisor training & development, 30 & 10 hour for all employees and site specific plans for all projects. 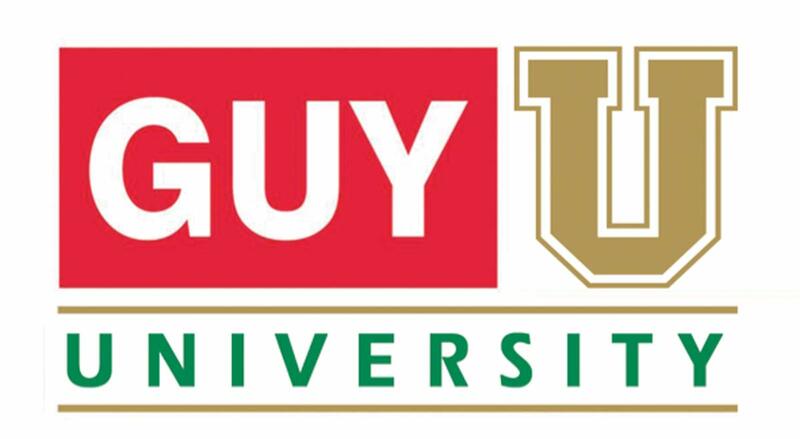 Guy University is founded on the principle that continuous learning with specially tailored training is aimed at improving the productivity and skills of employees by using the latest advances in information and telecommunication technology. The Official Roofing Contractor of the Carolina Panthers.